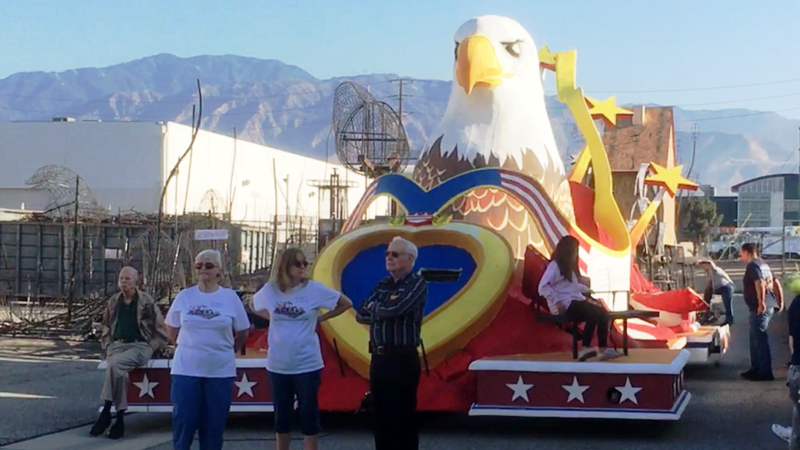 T2 mechanical and fire evacuation testing of our 2018 IOOF Rose Parade float, July 29th, 2017. This is a sneak preview of our upcoming float. At this stage in the construction, the float has simply been painted to suggest the basic appearance. The final appearance will be far more spectacular after the floral decoration is added in December..